Award-winning actor David Oyelowo unpacks some of his most indelible performances, explains his affinity for female directors, and discusses the uphill battle to be cast as a black protagonist In this thoughtful, wide-ranging conversation. Larry King meets with David Oyelowo, a British-Nigerian actor who performed in ‘The Butler,’ ‘Nightingale,’ ‘Queen of Katwe,’ portrayed Martin Luther King, Jr. in ‘Selma,’ and is a producer and star of ‘A United Kingdom,’ currently in U.S. theaters. Oyelowo talks about ‘A United Kingdom, the story of an African prince who falls for a white woman, and why it took so long to make. Oyelowo talks about producing and his passion for storytelling. The movie’s interracial relationship mirrors his own 18-year marriage to a white woman he met when they were teens doing youth theater in the UK. Oyelowo talks about love’s unifying power and prejudices against interracial relationships. Then, Oyelowo talks about the novel ‘A United Kingdom’ is based on. King asks about Oyelowo’s portrayal of MLK Jr., and Oyelowo discusses working with Ava DuVernay and Oprah. Oyelowo says he likes working with female directors to balance dominant male perspectives in film. Continuing the gender discussion, King asks Oyelowo about his reaction to Trump. Oyelowo talks about explaining Trump’s election to his young sons, especially when Trump won despite disrespecting women. Finally, Oyelowo talks about his dad, who wanted him to be a lawyer but supported his acting after seeing Oyelowo portray King Henry VI with the Royal Shakespeare Company, becoming the first black actor to do so. 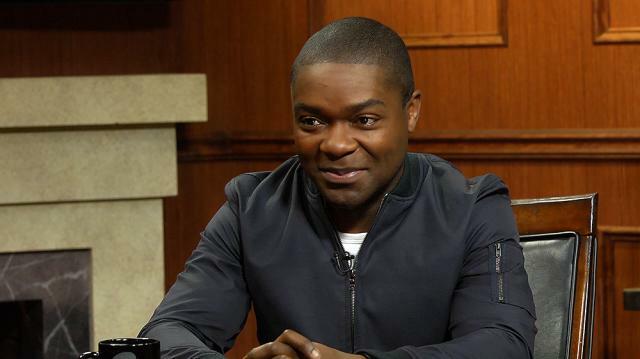 Oyelowo talks about the journey of performing Shakespeare.